This model of lunar moon lamp is 3D printed and not manufactured from moulds. You can rest assured that it is produced to the highest quality. 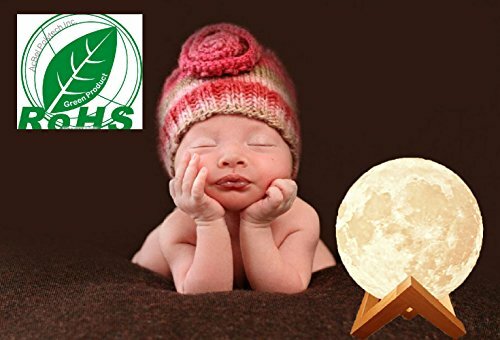 This full moon lamp is safe and reliable. It uses energy-saving LED bulb. 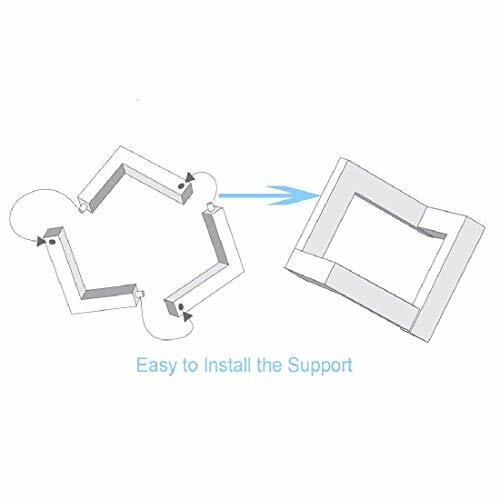 The bulb and the shell will maintain good condition for a long period of use. It will release 3000k light which will not hurt the eyes. The shell is made from eco-friendly material PLA which is extracted from the corn stem. The lamp is non-toxic. Using cutting-edge 3D technology creates a realistic moon surface texture. 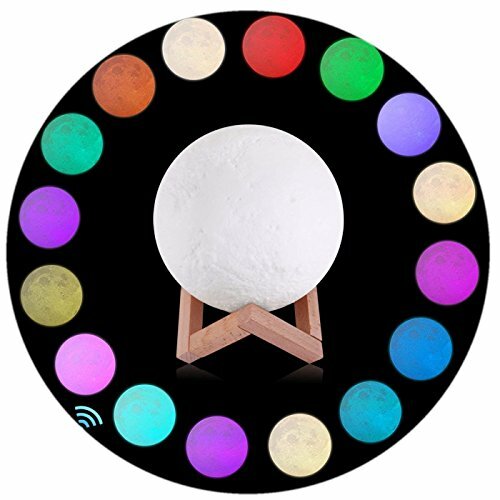 It contains built-in rechargeable batteries and 16 colors LED lighting effects. 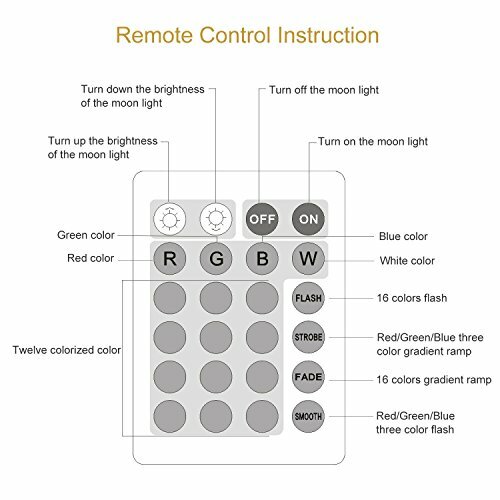 Touching the on-off sensor for less than one second enables you to switch between 16-colored light. Touching the sensor for over a second enables you to adjust light brightness. 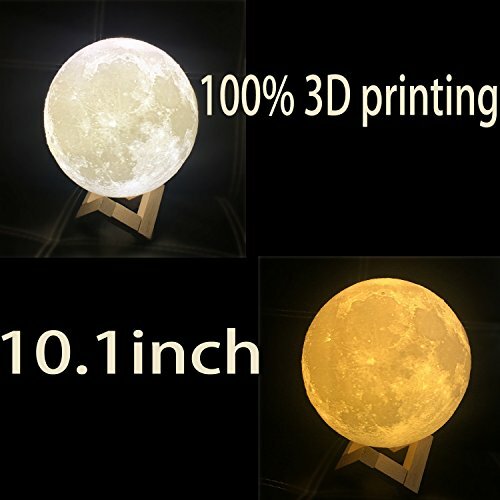 This type of 3d moon lamp is not only a beautiful night light, but also a fashionable and beautiful ornament for the family parties, bars, cafés and wedding ceremony events. Advanced 3D print technology is used to provide the perfect moon surface image. 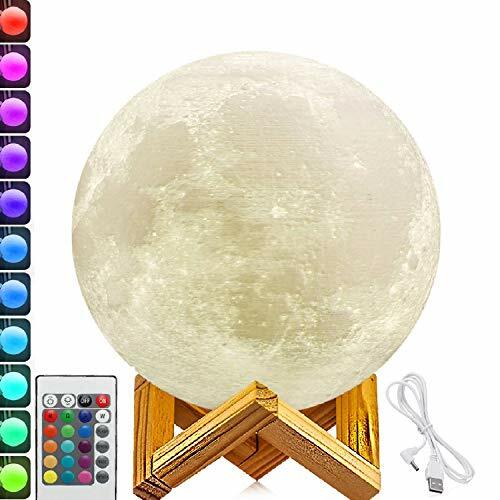 It appears a real moon in your room.